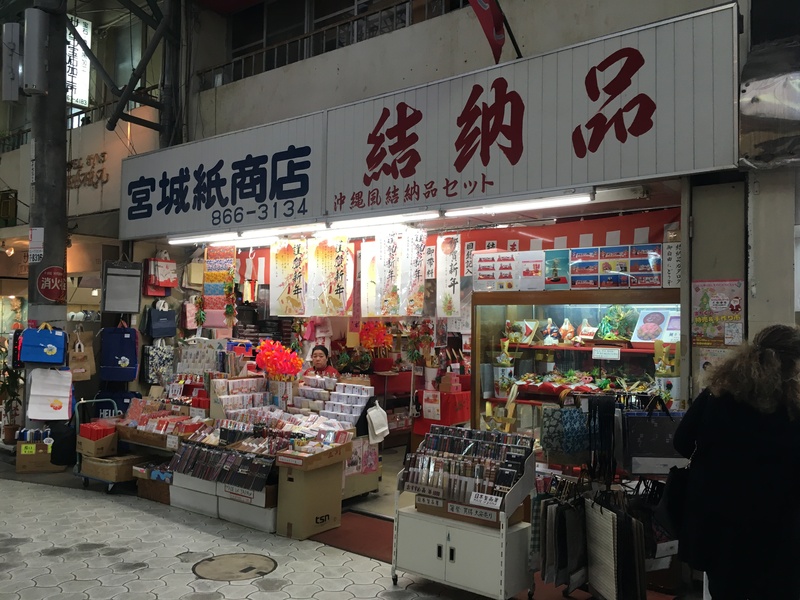 This store specializes in articles necessary for the traditional rituals conducted at weddings, milestone birthdays (Seinen Iwai), engagement ceremonies and other special events. In Japan, milestone birthdays are celebrated when a person reaches the age of 60 (Kanreki), 73 (Koki), 88 (Tokachi) and 97 (Kajimaya). Depending on the age, each of these milestone birthdays follows different specifications such as the paper decoration to be used, invitations, return-gift to be offered, the food and beverages to be served, and the costume to be worn. These specifications vary depending the region, island or municipality in Okinawa. These traditional rituals are still being observed these days, however, because of the lack of knowledge of the younger generations, in order to proceed correctly with these rituals, advisory and consultant services on these events are needed. Currently, it can be said that this is the only store in Naha that provides all the articles necessary for the special occasions along with consultant services regarding on how to hold these kinds of events. In Okinawa, cultural and traditional events are very important in the life of the locals and are being carried on from generation to generation, same can be said for family businesses, such this one, that are taken over by the founder’s children or grandchildren.